Nausea and vomiting affect up to 85 percent of pregnant women during weeks 6-12 of pregnancy. One percent of these women suffer from a very severe form of morning sickness that lands them in the hospital with severe dehydration, electrolyte imbalance, weight loss, muscle wasting, and serious risk to mother and baby. Women who suffer from Hyperemesis Gravidarum, as the Dutchess of Cambria famously did in 2012, are said to vomit for hours on end, for days on end. Roughly 10-15 percent of pregnant women use medication to treat their morning sickness treatment, according to a study published Oct. 16 2013 in the Journal of the American Medical Association. Zofran (ondansetron) is a prescription medication for nausea and vomiting prevention that the FDA approved in 1992 for use in chemotherapy, radiation and surgery patients. The 5-HT3 agonist blocks serotonin and increases gastric emptying to prevent sickness. Though the drug has been studied on fewer than 200 babies and has NOT gained FDA approval to treat morning sickness, doctors have written more than one million ondansetron prescriptions for pregnant patients. Initially, researchers reported no link between Zofran and birth defects in a study published in the New England Journal of Medicine. Critics of the February 2013 report said the sample size was too small and the study period too short to thoroughly assess the risk. A different group of researchers took another look at the same Danish registry, expanding the scope of their investigation, and concluded that Zofran use doubled the risk of heart defects and increased the risk of general birth defects by 30 percent. Not long after, a few individual lawsuits against maker GlaxoSmithKline began to appear in courts. On February 12th 2014, a Pennsylvania woman alleged that her two children suffered heart defects resulting from her use of Zofran during both pregnancies. A year later, a second complaint was filed in Massachusetts courts with similar claims of Zofran-related heart defects. The U.S. Food and Drug Administration flagged the 5-HT3 class of drugs as a “potential signal of serious risk” after a number of complaints came through the FDA Adverse Event Reporting System from January through March 2013. The dangers associated with “serotonin syndrome,” they said, warranted further investigation. For years, there were no morning sickness drugs on the market. However, in April 2013, Diclegis — a combination of doxlamine and vitamin B6 – became the first FDA-approved medication for nausea and vomiting symptoms in pregnancy. The drug was widely prescribed after its introduction in 1956, but removed from the market in 1983 due to safety concerns mentioned in product liability lawsuits, but has returned with the FDA stamp of approval – as the only medication with such a resounding endorsement. Before approving, the FDA studied Diclegis use in 261 pregnant women and found that the symptom relief was better and there were no adverse events other than drowsiness. “Now that a safe and effective drug is available in the United States, there is no reason for women to be exposed to a drug of unproven maternal and fetal safety,” said Canadian physician and medical researcher Dr. Gideon Koren, who was part of the research team that reported on Zofran’s possible link to birth defects. It is important to note that most doctors contend that medication should only be used when women cannot adequately manage their symptoms through recommended diet and lifestyle changes. The controversy surrounding Zofran is just developing and it can be difficult for women to know where to turn for clarity on the matter. 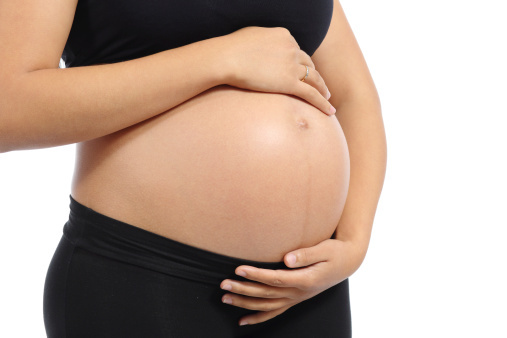 Women who are concerned about off-label Zofran use during pregnancy should consult their doctors – perhaps even garnering a second opinion from another trusted medical professional. And families who worry their baby may have been harmed by the anti-nausea drug can seek a free consultation with a Zofran lawyer to explore their legal options.